Welcome to A-Plan, Luton, your nearest branch. 37 Upper George Street, Luton, LU1 2RG mile away. 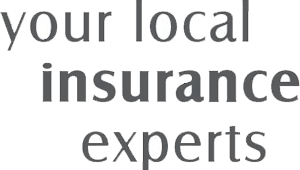 As your local insurance broker, A-Plan Luton has been serving clients in your area since the 1960s. We have specialist facilities for private car, home & contents and commercial vehicle insurance. A-Plan Insurance in Luton was one of the founding branches of the group and opened in 1963. Ever since we have been providing excellent local service to our clients some of which have trusted us with their insurance needs for over 40 years, and are now more like friends. I myself (Martin Lazell, Branch Manager) started in the Luton branch over 23 years ago and feel the local relationships I have developed can truly give added benefit should you be unfortunate enough to need to make a claim. Situated close to the town centre at the top of Upper George Street we are able to give face to face, professional advice and a dedicated claims manager to look after you should the need arise. Your Luton Branch Manager. Get the right cover at a great price! Put our local team to the test to see how we can help you.